There is almost nothing written on the web about these dumplings or this company. A Swedish blog, Gastronomibloggen, has a review of their veggie dumplings and MyFitnessPal and FatSecret have the calorie and nutritional data for several of the Ful Green Family products, including the Kimchee Flavored ones. The Kimchee Flavored Vegetable Dumplings are shaped like traditional Korean Mandu and look like typical frozen Korean dumplings. But these are some of the best frozen dumplings I have tried, the filling was crisp and crunchy, and these were by far the spiciest Kimchee dumplings I have retrieved from the freezer aisle. I defrosted the dumplings in the microwave and then pan-fried them so the wrappers were crispy on the bottom. These dumplings are vegan. 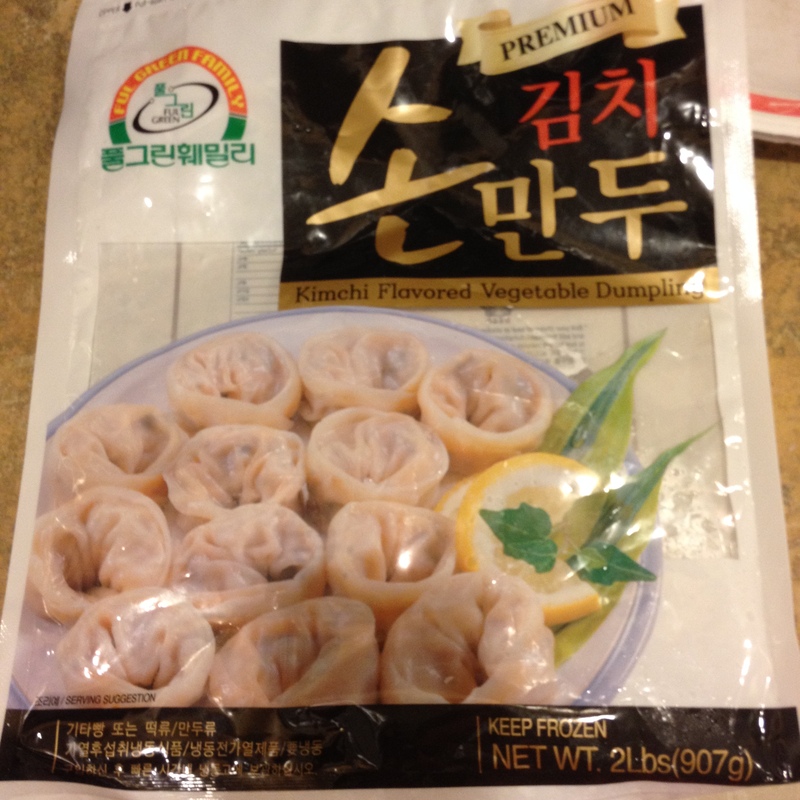 This entry was posted in Frozen Dumpling Review, Kimchi, Korea, Vegan, Vegetarian. Bookmark the permalink.